Satliva Hemp with Avocado Hair Oil will salvage dry and damaged hair. 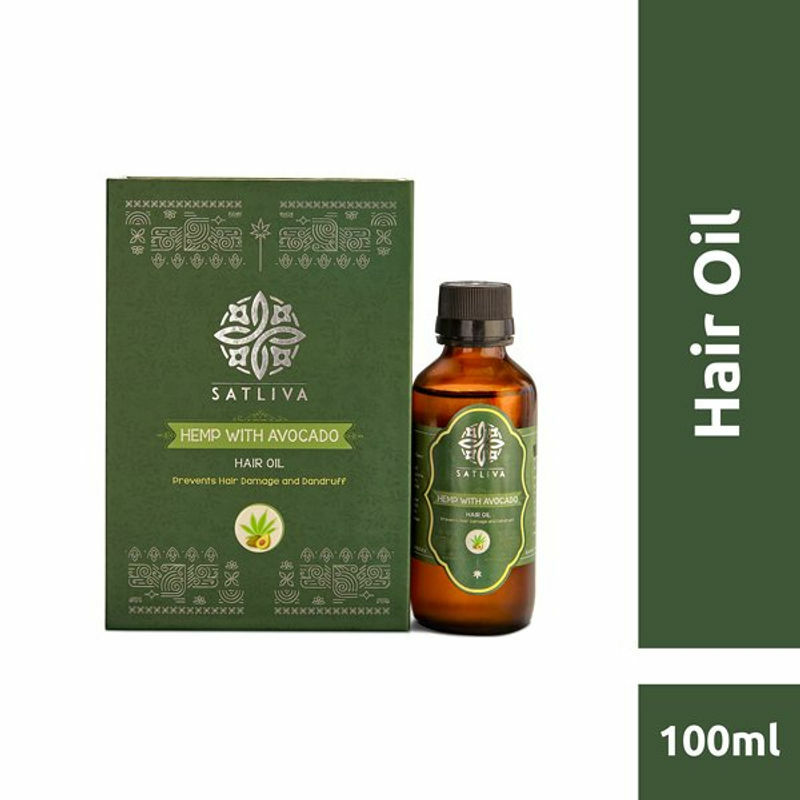 Argan oil is great for all hair types including colour treated hair. Not only does it add shine, argan oil works as an anti-frizz element. A great antioxidant present in argan oil is vitamin E, which when applied to the scalp, helps hair grow faster. Rosemary oil strengthens the hair roots and improves the nutrition of the scalp to restore damaged hair and fix split ends. Avocado hair oil stimulates new growth and healthier hair in general. It also helps moisturise, nourish and strengthen hair strands, improving the way they look and protecting them from damage. Peppermint oil is an astringent cleaner, clearing the pores and allowing your scalp to breathe. Tea tree oil effectively moisturises the hair so that the scalp is no longer dry and itchy, leading the way to longer, more lustrous locks.